Agua Prieta, Sonoro, Mexico and Boston, Massachusetts, USA – March 20, 2018 – Velcro Companies today announced the opening of its newly expanded facility in Agua Prieta, Mexico. The expansion will enable the company to serve its customers in the medical products industry, one of its fastest growing global business segments. The new 54,000 sq ft (5,000 sq mt) building is adjacent to the company’s existing factory. 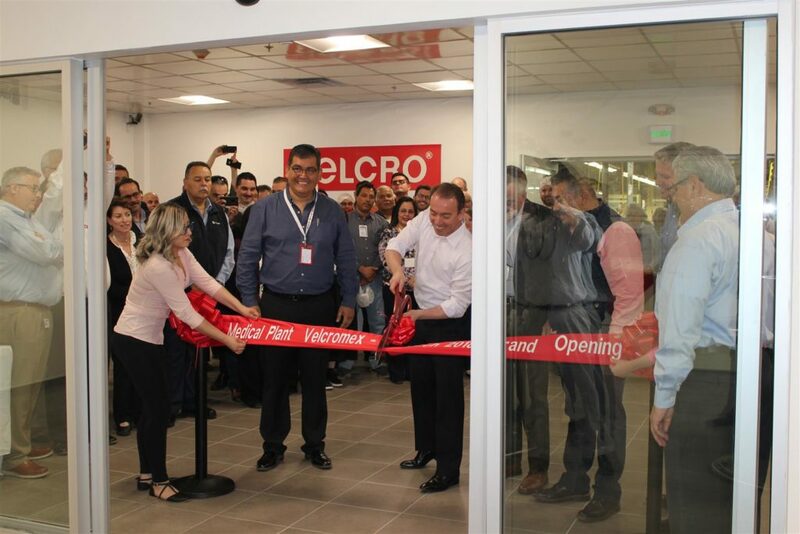 Velcro Companies first established a manufacturing presence in Agua Prieta in 1984, and the company’s operations there have grown steadily. This is its fifth expansion at Agua Prieta, and total employment is expected to reach 1,200 positions, up from approximately 1,000 prior to the new building.